Revel in the delights of baking from Scandinavia and the Nordic region with this treasure trove of the tastiest and most traditional recipes. The Scandinavian countries are not often known for their baking—not like the French are known for their patisserie, or the Greeks for their syrupy delights—but with their modestly decorated cakes, buns, and cookies, Scandinavian recipes are some of the best, and are always bursting with flavor! The Nordic Bakery is a small chain of highly successful little cafés that are dotted around London, all of which reflect the wholesome but comforting style of baking in Scandinavia. The emphasis is on fresh, seasonal produce and healthier baking ingredients, such as rye flour, oats, and barley, and the rustic but modern menu includes open rye-bread sandwiches, cakes, and cinnamon buns. 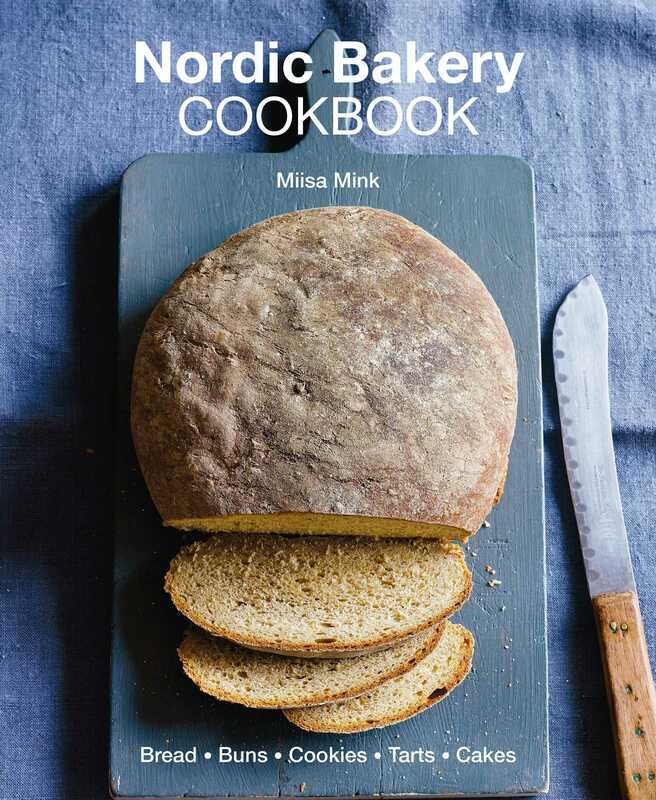 The Nordic Bakery Cookbook allows you to bake your own Bread, such as the popular rye bread, Savory Pastries, Cakes, Sweet Buns, Desserts, and Biscuits in your own home. Finnish-born Jali Wahlsten had a vision of bringing Nordic ‘dark rye bread, cinnamon buns and coffee’ to London and in 2007 opened the Nordic Bakery in Soho. This, the bakery’s first cookbook, was conceived by Jali’s wife Marianna Wahlsten, a journalist and photographer, and written by Miisa Mink, an investor in the business. Miisa comes from a family of passionate bakers. She has had a successful career in branding and design, but in 2007 she decided to leave the corporate life and become a partner in the Nordic Bakery.